In Maharashtra, water scarcity has emerged as the crisis of our times. In many of the worst affected districts it has become a public order issue and the state authorities devote vast resources for providing drinking water. While consecutive droughts are the proximate cause of the crisis, the widespread unregulated exploitation of groundwater is a major underlying cause. While Maharashtra has attempted to regulate groundwater through legislation, implementation of the same remains a challenge. This post takes a look at the challenges for managing groundwater resources at the local level and how aspects of legislation and policy unfold on the ground. Over the past half century groundwater has become the primary source of water for domestic use and agriculture. This is more so in the dryland areas of India. In the drought prone district of Ahmednagar of Maharashtra, 42% net irrigated area is from surface irrigation and 58% is from wells; while a vast majority of the rural households depend on groundwater to meet domestic needs. 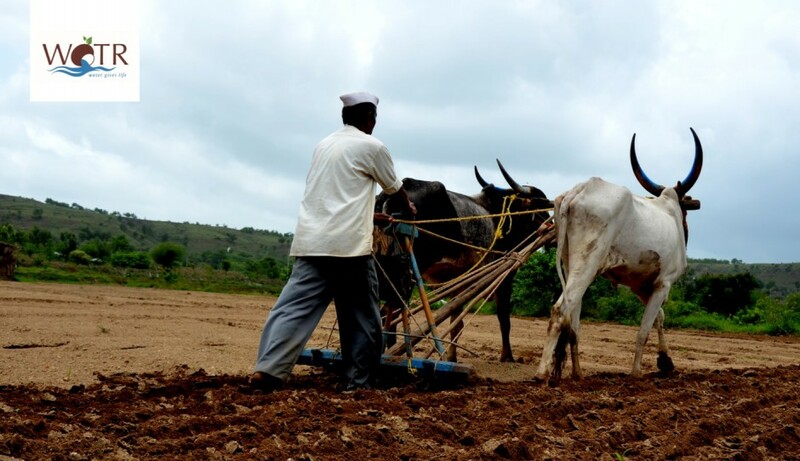 In the Sangamner block of Ahmednagar, 91% of the net irrigated area is based on well irrigation[i]. Recent increases in the indiscriminate use of water for irrigation have led to a significant increase in groundwater draft, causing over-exploitation in many blocks of the district, including Sangamner. Between 2004 and 2011, the groundwater draft in the Ahmednagar district rose from 74% to 82% of net annual groundwater availability. In Sangamner, the corresponding figure stood at 96.5% in 2011[ii]! While the failure of the monsoon and hydrogeological characteristics also contribute significantly to water scarcity, the widespread over exploitation of groundwater resources cannot be ignored. Given the widespread water scarcity in rural areas of the district and across the state, many villages now rely on water tankers to meet their basic drinking and sanitation needs. Tankers supplying water for domestic use have become a ubiquitous part of the landscape of drought prone Maharashtra. Villages that are deemed to be water scarce receive water tankers, with demand peeking in the summer months, just before the onset of the monsoon. In 2015, owing to the failure of the monsoon, the supply of tankers increased and continued through most of the monsoon period, only falling in late September, with a mild revival of the monsoon and the subsequent improvement in groundwater levels. In September 2015, more than 22% of villages in the Ahmednagar district[iii] required water for domestic use provided via tankers. Between March to October 2015, the government had spent more than 14 million USD on providing tankers to water starved villages[iv]. While the ubiquity of tankers points towards an absolute scarcity of water in the region it also conceals a complex dynamic. The indiscriminate use of groundwater for irrigation, which is driving resource scarcity, pushes up agriculture input costs and locks people into an energy-intensive pathway that is unsustainable in the long run. Moreover, it depletes reserves to the extent that even access to drinking water is not assured. Maharashtra has several schemes and laws, acting both on the demand and supply side to augment and regulate the use of water. Some of these, like the Maharashtra Groundwater (Regulation for Drinking Water Purposes) Act 1993 and more recently the Maharashtra Groundwater (Management & Regulation) Act 2009 seek to protect public drinking water sources, in particular groundwater. The 2009 Act takes a more expansive view on groundwater management than its predecessor and seeks the use of groundwater in a more comprehensive manner. Given the importance of groundwater for irrigation, farmers are generally unwilling to reduce or regulate groundwater draft. They appear to give lower priority to drinking water. It is widely expected that the state will come through and ensure the minimum supply of drinking water to the village. This vitiates against attempts at managing and regulating water use at the village level. It becomes easier to seek outside interventions, and this is particularly important for the village elite, who are able to demonstrate their power and develop patronage, by channelling resources and schemes for drinking water to the village[v]. At the same time tankers, are symbolic of precariousness and dependency. Communities, particularly women, who have been able to mobilise and organise themselves around the issue of water management, often invoke memories of days and months spent relying on tankers and the drudgery of fetching water from distant places. [E]veryone must take a conscious decision regarding the construction of bore wells. Instead of just focusing on your agriculture if you decide to solve the drinking water problem it will be beneficial in the long run… [D]rinking water must be made a central theme and people have to be sensitised and organised around it. Then we must decide how to use it and for what purposes while prioritising its use in a judicious manner. However, the political dividends associated with regulating groundwater usage at the local level are limited and regulations on bore wells lead to considerable dissatisfaction among farmers who already to take advantage of groundwater for irrigation or hope to. This is testified by Kailash Ghule, former sarpanch of Rampur, a village situated close to Neelwadi, which had regulated the sinking of bore wells for 5 years between 2007- 12. In 2012 a new sarpanch who did not share his predecessor’s enthusiasm for ‘borebandhi’ (ban on digging bore wells) was elected. In the summer of 2013, on the heels of another failed monsoon, the sarpanch sank a bore well, after which solidarity between villagers quickly collapsed. In the month that followed, bore well rigs worked day and night drilling more than 30 bore wells in the village. “Vinash kale viprit budhhi” is the phrase that Mr. Ghule chose to describe what happened, a Sanskrit phrase translates to “the madness before the end”. Given that now only a fraction of those bore wells still yield water, it certainly does seem like madness. Farmers in Neelwadi offer a nuanced interpretation of events. When asked why they were able to maintain their bore well regulation regime, where Rampur and other villages had faltered or failed to take action, they offered an important constraint. The farmers argue that in Neelwadi, households have more diversified livelihoods, with many households having family members, particularly the youth, engaged in remunerative non-farm livelihoods. This has reduced the pressure on and competition over groundwater resources. In Rampur on the other hand, agriculture has maintained its primacy as a livelihood, particularly among the younger generation and village elites. The community in Neelwadi appears to be better adapted to grapple with drought, particularly with respect to the provisioning of basic needs i.e. water for drinking and domestic use. Unlike many of the neighbouring villages, they do not require tankers. However as indicated above, the regulation of groundwater is a multifaceted challenge and must address competing interests and very real economic considerations. The current water crisis that is unfolding in Ahmednagar is analogous to the crisis enveloping many districts in the state of Maharashtra and demonstrates that questions surrounding agriculture, drinking water and groundwater management cannot be treated in isolation. The Maharashtra Groundwater (Development & Management) Act 2009, provides a framework to address these issues in a holistic manner. However, much work remains to be done in translating this piece of legislation into concrete actions on the ground. Doing so will require the negotiation of a host complex social, political and economic drivers and barriers, not to mention the biophysical and geophysical constraints that exist. A difficult task, but something that we cannot afford to defer any longer! [ii] Central Ground Water Board. (2006) Dynamic Groundwater Resources of India (As on March 2004), Ministry of Water Resources, Government of India, Central Ground Water Board. (2006) Dynamic Groundwater Resources of India (As on March 2004), Ministry of Water Resources, Government of India, Central Ground Water Board,(2014), Ground water information, Ahmadnagar District , Maharashtra . Ministry of Water Resources, Government of India. [v] Phansalkar, Sanjiv, and Vivek Kher. “Decade of Maharashtra Groundwater Legislation: Analysis of the Implementation Process, A.” Law Env’t & Dev. J. 2 (2006): 67. [vi] Names of villages and people have been changed. Great piece of practical analysis! More such ground level studies are needed if we are to understand the dynamics of water supply and use in order to develop implementable, effective, sustainable and equitable water management regimes.